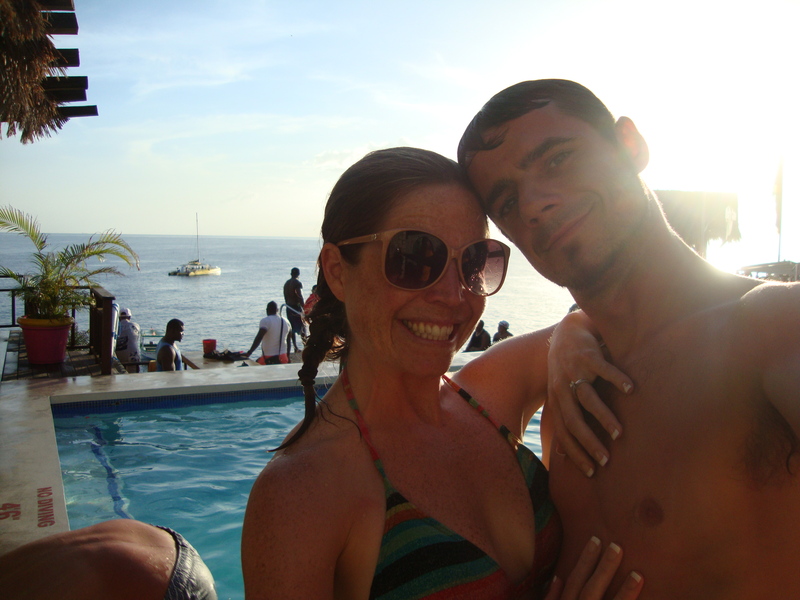 For our honeymoon, we went to Negril, Jamaica [in August, 2013]. We were there for 6 nights. We decided on our destination because we have been to the Caribbean a few times and were in love with the water and the laid back island vibe. 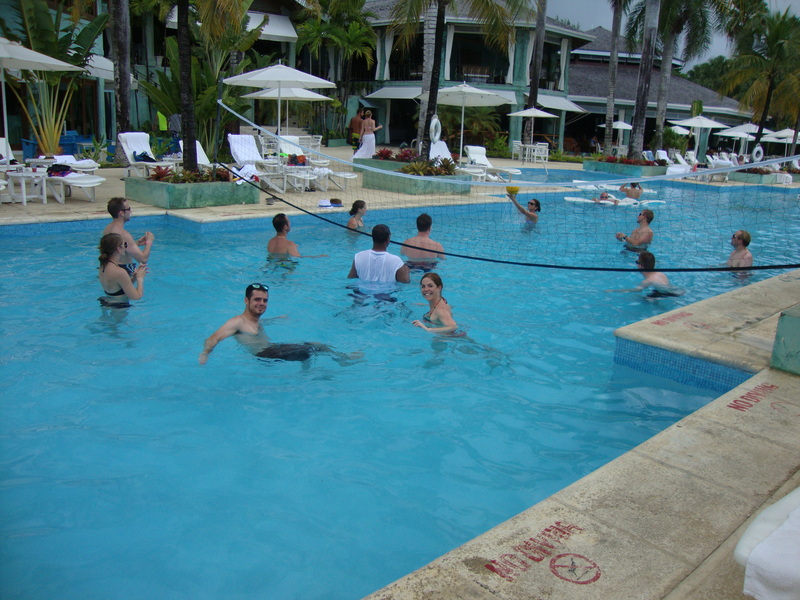 We had never been to Jamaica, but got a lot of good recommendations, so we decided to give it a try. 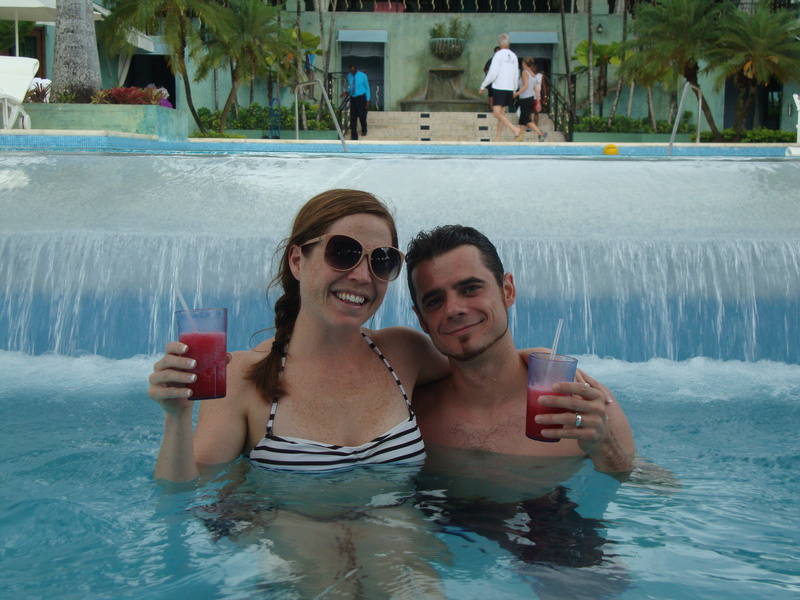 While our usual vacation style is more adventurous, we decided to take it to the other extreme and stay at an all inclusive resort so we could fully relax after planning and executing our wedding. … night snorkeling in the sea, about one mile off the coast of Negril. We could hear a Reggae band playing from the shore, and were able to swim around with spotlights and explore a sunken ship and the diverse fish and animals that “only come out at night…” It was really amazing! We also had a great time just being together, since the weeks leading up to our wedding were pretty crazy! If I knew then what I know now, we would have stayed in Jamaica longer and planned ahead better — we fully embraced our relaxation, but would have loved to explore more of the island itself. We went on a few day trips, went cliff diving and hung out with the locals, but we didn’t have a chance to really get to know Jamaica. 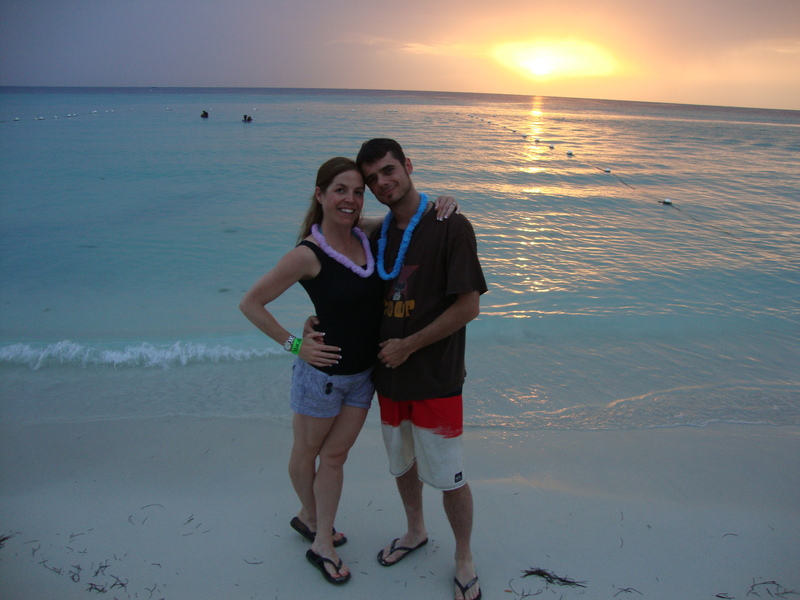 We really didn’t do a lot of advance planning once we picked Jamaica- we looked at various locations prior to that, but once it was set, we just decided where on the island we wanted to be and then booked our room and flights! 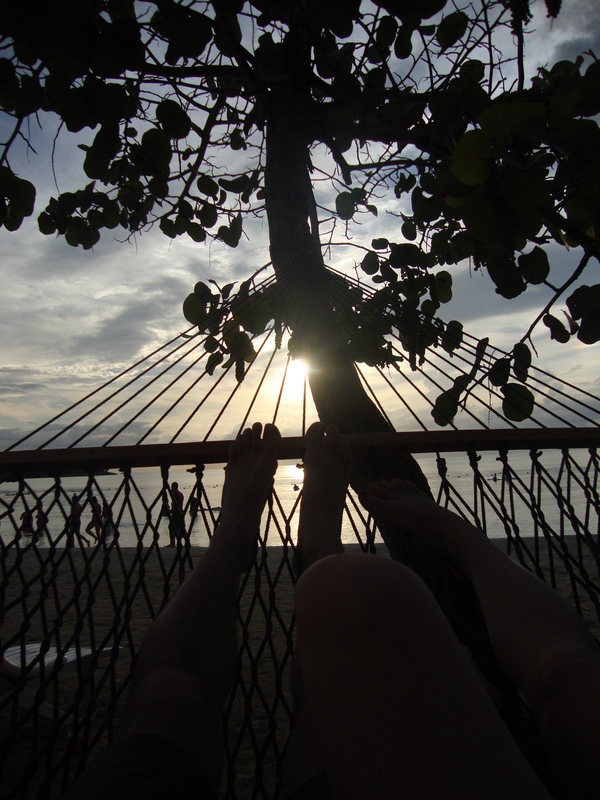 Our biggest splurge was getting couples massages in a tree house on the beach- it was totally amazing. For our next “big” trip, we are considering Thailand/Vietnam, Brazil or Italy. 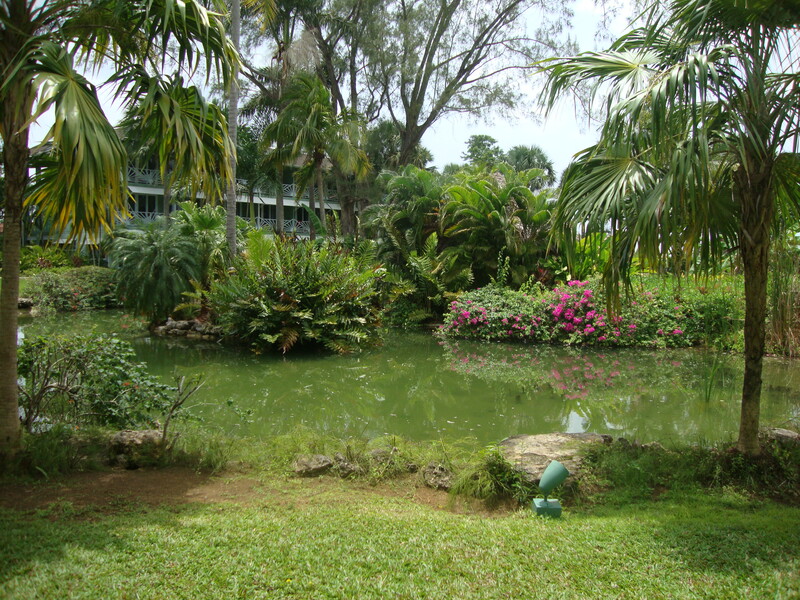 Our hotel was great- Couples Negril – they really took care of us and the food, beverages, service and amenities were fantastic. 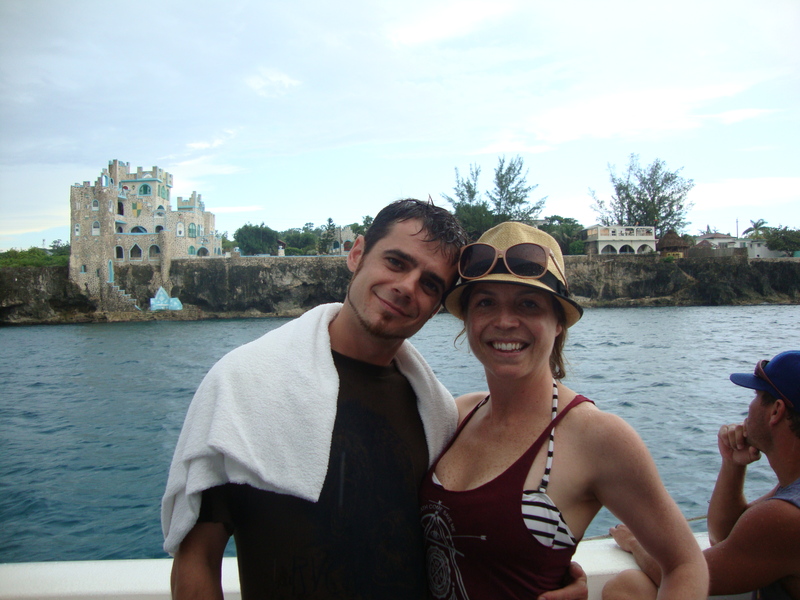 We also had a great time cliff diving and hanging out at Rick’s Cafe.